Mattress Cleaning is not a service which many of our customers ask for initially. Considering that we spend many hours each day resting, clean and hygienic mattresses are more important than you think. Michael and Dermot have been cleaning and sanitising bedding in Melbourne for over a decade. 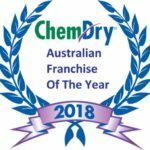 Not only are they stain removal specialists but they also have access to the latest Chem-Dry cleaning solutions to kill bacteria and ensure that your sleeping is a healthy as it can be. Why Do We Need Regular Mattress Cleaning? Our attitudes to life are influenced by our health. Where we sleep and how well we sleep can make all the difference to your attitude for the day. Lack of sleep often makes people moody and unhappy, as we really need a minimum of 6 -8 hours sleep to feel rested. In addition, the NRMA has estimated that one in six fatal accidents on the road is as a result of fatigue. Dust mite allergies are linked to asthma. Mattresses can be a breeding ground for the little critters, making a good nights sleep more difficult. We start off with a state of the art mattress vacuum. The vacuum combines ultraviolet light with very strong suction which will neutralise and remove dust, skin, mites and much more. Deep mattress cleaning combining steam cleaning with our rapid drying process. Sanitisation of all bacteria found in your mattress and base. The Chem-Dry promise is to sleep easier. 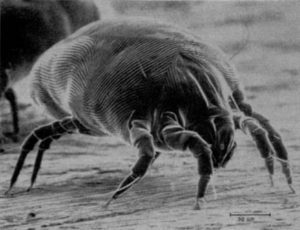 Dust mite treatment of all bedding. Stops the allergic reaction to dust mite droppings in its tracks. Our unique specialist stain removal means that our technicians are able to remove many types of stains. We are also able to remove mould and decontaminate your mattress. Healthy mattresses mean happier customers. What is Lurking in Your Mattress?!! Book Your 6 Step Total Mattress Restoration Service Today!